Make your sport bike stand out! 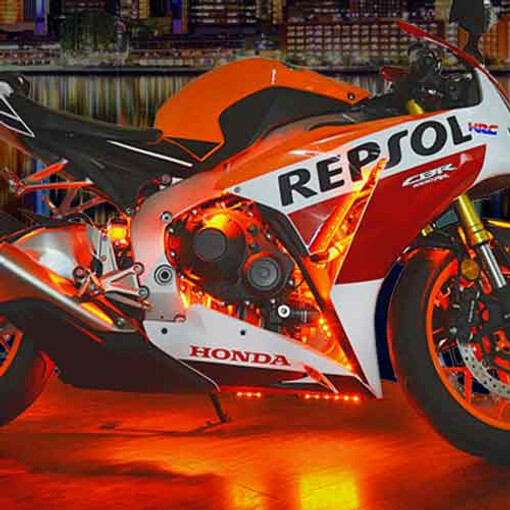 Customize your sport bike with an LED light kit from Boogey Lights®. We offer four different configuration options of motorcycle LED accent lights and light kits for sport bikes to fit any budget. All of our sport bike LED light kits can be customized to fit your specific configuration. From single color to multi-color to remote controls that can be operated by your smartphone, Boogey Lights® sport bike LEDs are the best and the brightest available anywhere.